Shaun Messick is an established writer. His works include fiction and freelance blogging. His first novel, Worlds Without End: The Mission, has been successful with over 40,000 downloads and purchases on the Kindle alone. 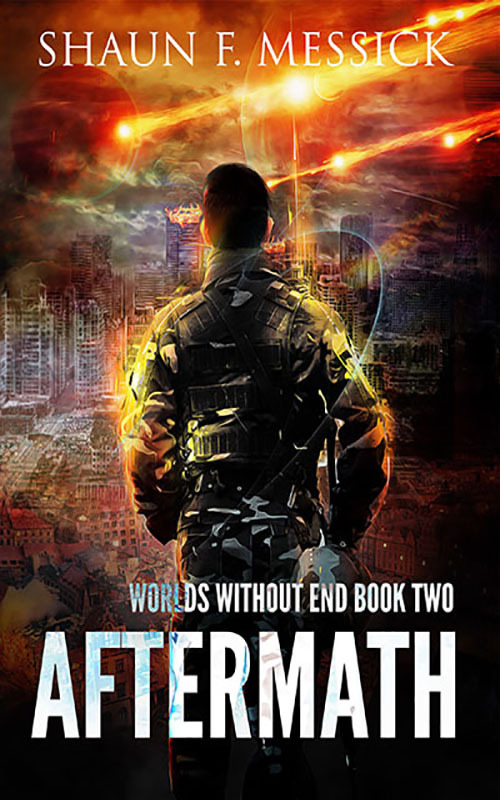 The next book in the series, Worlds Without End: Aftermath, has continued that trend with seventy-five percent of the reviews having 4 and 5 stars. 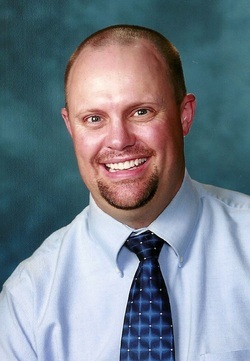 Shaun currently resides in Shelley, Idaho with his beautiful wife and his four wonderful children. From as early as he can remember, he was a fan of science fiction stories, particularly Star Wars, Star Trek, and Battlestar Galactica. He is truly a nerd at heart. From these interests, Shaun has developed a unique talent of his own, crafting ideas into fascinating story lines for fans of science fiction to enjoy. Along with his writing escapades, Shaun loves sports, playing golf, spending time with his family, watching movies and reading. The discovery of a new world may be the very thing that threatens the freedom of the human race and changes the destiny of mankind forever. 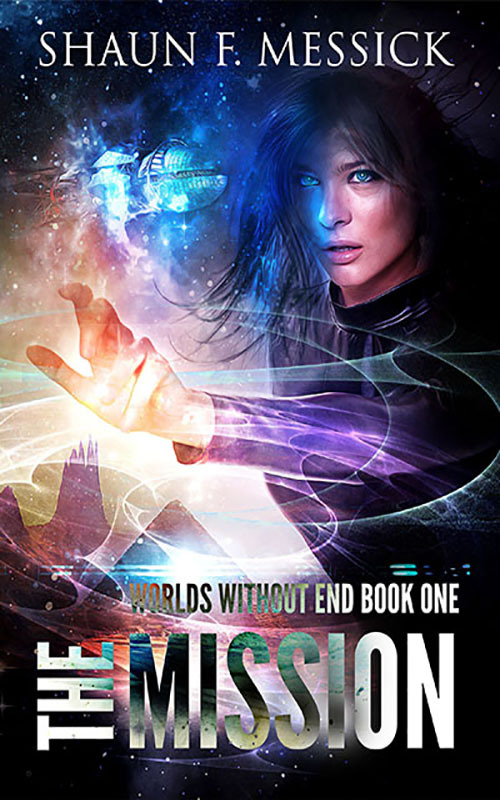 Twenty-three years after the disappearance of the Mars I space shuttle, NASA receives a mysterious transmission from Adrian Palmer, the commander of the mission. Adrian's brother, Kevin, wastes no time funding the Mars II rescue mission commanded by Jake Palmer, Adrian's son. Jake and Dr. Steven "Skip" Hendricks, a NASA physicist, travel through a wormhole that Skip believes was the reason the Mars I crew disappeared. They eventually crash-land on the planet Terrest and are thrust into a war beyond their human limitations. The native Terrestrians are at war against a super-race of humans called the Gnols, led by Koroan Chast. However, the Terrestrian's struggle is futile because of the godlike abilities of the Gnols. Now, the only hope mankind has may rest on a 2000-year-old prophecy discovered in an ancient temple on Terrest. But before the prophecy can come to pass. Adrian and Jake must first stop the Gnols from attacking Earth and enslaving the human race. 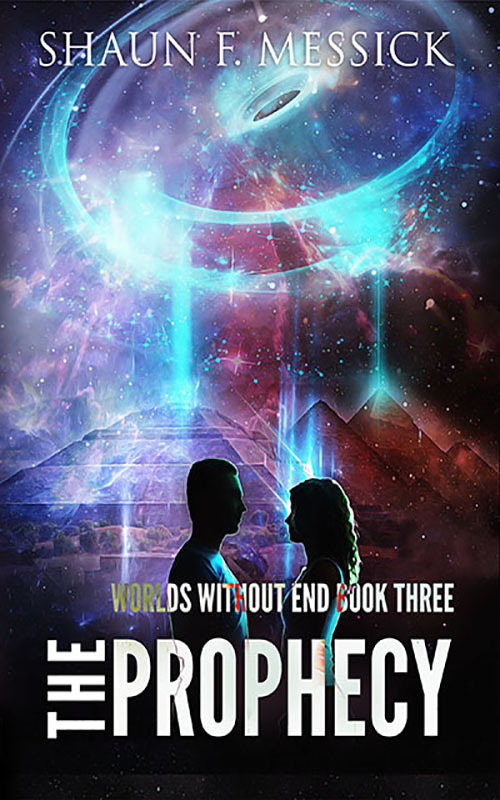 With the enslavement of the human race and all faith lost, the only hope humanity has is hidden in a prophecy on a planet 22-light-years from Earth! After the initial attack by the Gnols, Earth lies in ruins with most of the cities destroyed and the majority of its population dead. Adrian Palmer remains in the custody of the Gnols who have established their capital in Washington D.C. as they await the arrival of their savior, Koroan Chast, to claim his new world. Knowing full well of their forthcoming execution, Adrian and Kevin find help from a group of rebels gathering in Missouri. Adrian knows that he needs to return to Terrest. But before he can escape, he and Kevin must face an old enemy, which may turn out to be futile. Meanwhile, on Terrest, Jake and Scott are left to lead what’s left of the Terrestrian military. Defeated and desperate, Jake and Celeste embark on an insurmountable journey to Gnolom to discover the true origins of Koroan Chast’s power. At the same time, Skip discovers new and old allies to help him in his escape from the slave camp of Zikf. Will he escape to continue his quest for the prophecy given by Jesus Christ? Or, is Koroan Chast the fulfillment of that prophecy? The story continues as old and new enemies collide in a saga of faith, love, power, and war. A story that stretches across the galaxy in search of the key that will free mankind or enslave him for eternity! The destinies of three worlds and the Chosen One rest upon three ancient gold tablets written in the pure language of God. Now, good and evil collide in an epic battle for control of the galaxy and the souls of mankind. The ageless war for the souls of mankind rages on in the third installment of the Worlds Without End series. After the presumed death of the Gnols’ supreme leader – Koroan Chast, Dorange Gar seizes command over the other military overlords with the assistance of an ancient, supernatural being. Their goal is to find the golden tablet of Earth. This relic, combined with the relics of Terrest and Gnolom, will give untold power to whoever possesses them; enough power to dethrone even God, Himself. But before Dorange and his new ally can look for the ancient relic on Earth, they must first destroy the remaining human resistance on Terrest. Meanwhile, a child is born on Terrest to the transfigured beings of Jake Palmer and Celeste Chast. This child, as the prophecy foretells, is the only one capable of deciphering the three golden plates. Consequently, the evil forces of the galaxy are searching for this child, hoping to use him for their own motives. Will Celeste and Jake be able to keep their son safe, or will he be used as an instrument for the purposes of the evil one? Unbeknownst to both sides, however, a new and more powerful evil is rising within Mount Resumpsi on the planet of Gnolom, with intentions to use its newfound power. You’ll be taken on a wild ride as physical and spiritual forces, both good and evil, clash in a story that will take you to the far reaches of the Milky Way Galaxy, and through a saga that encompasses every aspect of human potential in the epic war for control of the souls of God’s children and ultimate lordship over the galaxy.